NV Power Catamarans and NV Sailing Catamarans use Hydrofoil Support Technology utilizing Diesel Electric Hybrid or Outboards building a faster- better- safer- multihull - We build custom projects and one off designs - Kit Planes - Expedition Vehicles - Catamaran kits - If you have a custom project you would like to see take form? Our Custom Building Shop can build just about anything for you. 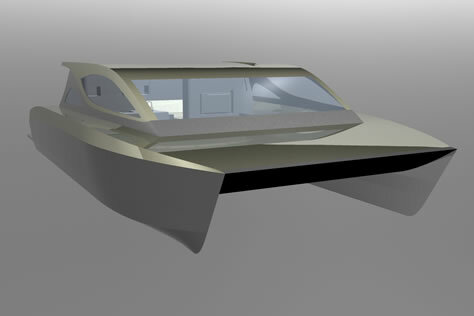 Build a Kit Catamaran or have your kit multihull built professionally in our boat yard. Try building a kit at your home no need for expensive molds or tooling to build your dream. 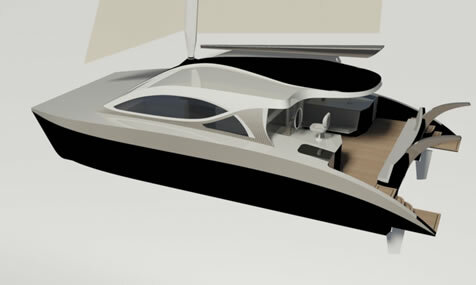 Choose prefabricated catamaran kits for fast building or build your catamaran from easy to follow plans. 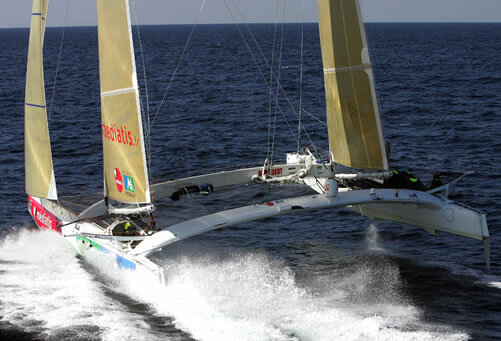 Yues Parlier The WSSRC (World Sailing Speed Record Council), international organisation managing the records in the sail, approved this day the reference time registered by Médiatis Région Aquitaine during its attempt of last April 9th. The new record in the category multihull up to 60 feet, in crew is thus of: 597,81 miles in 24 hours in an average speed of 24,91 knots.